Pulverize oreos in food processor or in a plastic bag using a rolling pin. Set aside. Beat butter, cream cheese and sugar together until fluffy. Set aside. In a separate bowl whisk together milk and pudding mix. Whisk for several minutes then let sit for 5 minutes. Whisk in Cool whip. Beat pudding mixture into cream cheese mixture until smooth. Use 8 inch flower pot (without hole in bottom or cover hole with cool whip cardboard label.) 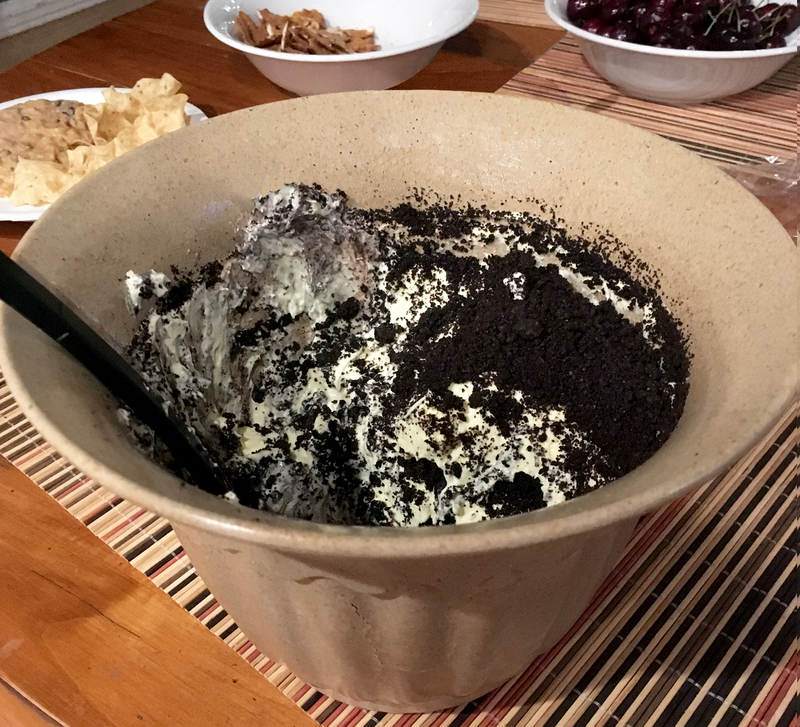 Alternate layers of crushed cookies and whipped pudding in pot, finishing with a a layer of cookies. (4-5 layers of each) Add gummy worms if desired. Chill for at least 4 hours. When ready to serve, put an artificial flower on top. Use a plastic shovel to serve.